The Informer has received a new poster and release date. Instead of opening in theaters at the end of next month, the movie with now be released on August 16th. Aviron Pictures did not reveal the reasoning behind the decision. Joel Kinnaman stars in The Informer and can be seen outrunning the FBI, Mob, and the NYPD in the intense first trailer, which was released in November 2018. The Informer is based on the novel Three Seconds by Borge Hellstrom and Anders Roslund and focuses on honorably discharged Special Ops soldier Pete Koslow (Joel Kinnaman) as his world is turned upside-down when he is jailed after a fight to protect his wife (Ana de Armas). He's given a chance for early release by becoming an informant for the FBI (Rosamund Pike and Clive Owen) and using his covert skills in an operation to take down The General, the most powerful crime boss in New York. But when the FBI sting meant to finally earn Koslow his freedom results in the death of an undercover NYPD cop, Koslow finds himself caught in the crossfire between the mob and the FBI. Caught in a world of impossible choices, Pete Koslow knows he must return to prison, where he then formulates a plan to escape the clutches of three of New York City's most powerful organizations, the mob, the NYPD and the FBI, in order to save himself and his family. The trailer for The Informer is pretty epic and sums up the story pretty well. After it was released, Joel Kinnaman fans were getting excited to see the movie in theaters. However, they're going to have to wait a little bit longer. The Informer was first announced at the Cannes Film Festival in 2017, which made a lot of Three Seconds fans very excited. The novel was first published in Sweden in 2009 and was translated into English in 2010. The novel centers on criminals in Sweden, the police, and probation officials who monitor these offenders. Three Seconds then looks at the government who wants to use the offenders as undercover operatives. The novel was awarded with Best Swedish Crime Novel 2009 along with a bunch of other accolades. The Informer is directed by Andrea Di Stefano from a screenplay written by Matt Cook. 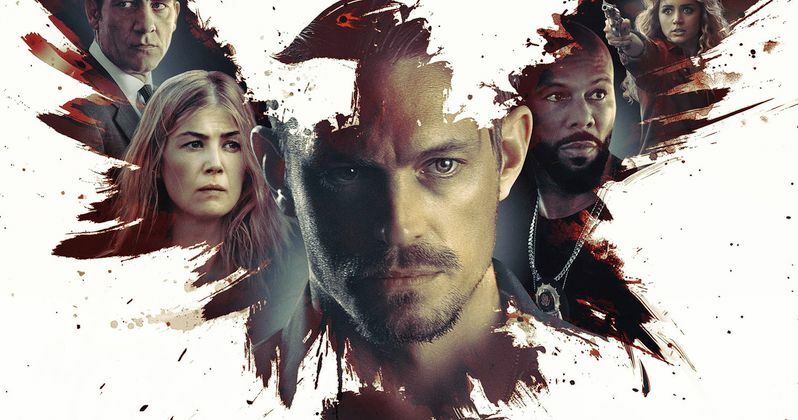 The movie stars Joel Kinnaman, Rosamund Pike, Clive Owen, Common, and Ana de Armas. It was supposed to originally open in theaters today, but it was later pushed to March 22nd, and now August 16th. The August release date puts it in theaters two weeks after the Fast and Furious spin-off Hobbs & Shaw, which should be a pretty safe distance away. While The Informer looks awesome, it's not really going to be a competition if you're going up against Dwayne Johnson, Jason Statham, and Idris Elba. You can check out the latest poster for The Informer below, thanks to Aviron Pictures.